Medical and Aesthetic Dermatology (Columbia) - Book Appointment Online! If you're looking for a high quality Columbia, MD dermatologist, look no further than Medical & Aesthetic Dermatology. Under the direction of Dr. Cheryl D. Bansal, M.D. a board-certified expert dermatologist, we are a medical, pediatric, cosmetic and surgical dermatology practice in Columbia, MD. 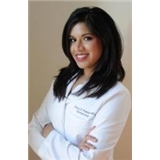 Dr. Bansal and her three certified Physician Assistants, Brooke Bennett, PA-C, Rebecca Bower, PA-C and Gabriela Perdomo, PA-C provide high-quality skin care services using the most advanced techniques and state-of-the-art technology without sacrificing personal care and attention. Call us to schedule your appointment today! Please note, to assist our patients in a timely manner we ask that if you need to change an appointment time please contact our office as soon as possible to do so. There are fees associated with any appointments that need to be changed within 24 hours of the appointment. Knowledgable team. Answered all my questions and provided recommendations without pressure. Comfortable place to receive care.